Whether the defendant himself realized that ordinary honest people would regard his behaviour as dishonest (subjective limb). In a recent case Ivey v Genting Casinos (UK) Ltd (trading as Crockfords Club)  UKSC 67, the UK Supreme Court rejected the subjective limb of the Ghosh directions and reformulated the test for “dishonesty”. The plaintiff, a professional gambler, has acquired substantial winnings of approximately £7.7 million from playing card games in the defendant’s casino. He compromised the card game by deploying a technique known as edge-sorting, which exploits design irregularities on the backs of the playing cards to identify cards of high value, thereby largely raising the chances of winning a game of pure chance. The defendant refused to pay the plaintiff on the grounds that such play altered the odds against it unfairly, and the plaintiff brought an action for recovery of the sums which he had won. The defendant argued that the plaintiff had breached the implied term of the gaming contract that one would not cheat, thereby rendering such contract void. The defendant further contended that the plaintiff had committed an offence contrary to section 42 of the Gambling Act 2005 by cheating at gambling. The plaintiff admitted the implied term of no cheating at gambling but denied that his act amounted to cheating or a criminal offence. The Supreme Court held that but for a difference in standard of proof in civil and criminal claims, cheating carries the same meaning in both contexts. Cheating is a question for the jury to be determined objectively, taking into account nature and rules of the game concerned. In the context of gambling, cheating is inherent with its own stamp of wrongfulness, and the Supreme Court considered it not necessary to introduce the element of “dishonesty” to constitute cheating. The plaintiff’s deliberate act of compromising a game which is supposed to be of pure chance by identifying certain playing cards was held to constitute cheating. Despite the ruling that cheating does not require the element of “dishonesty”, the Supreme Court went further to consider the meaning of “dishonesty”, as the subjective limb required by the Ghosh directions was raised by the plaintiff as part of his defence. Under the Ghosh directions, in order to establish “dishonesty”, one has to prove the conduct at issue to be objectively dishonest as well as subjectively dishonest in the sense that the defendant must have realised ordinary honest people would regard his behaviour as dishonest. The major reason for not following the Ghosh directions was the unintended effect brought by the subjective limb as one of the essential elements to prove “dishonesty”. The Supreme Court acknowledged that the more warped the defendant’s standards of honesty are, the less likely it is that he will be convicted of dishonest behaviour under the subjective limb. In other words, even if the defendant’s conduct would be characterized by most people in the society as dishonest, as long as the defendant himself thought that what he was doing was not wrong, his conduct was for that reason not dishonest. After reviewing the precedents prior to R v Ghosh, the Supreme Court held that the subjective limb of the Ghosh directions does not correctly represent the law and it should not be followed. But it does not mean that the defendant’s state of mind is no longer relevant. Instead, it has been reduced to become a factor or circumstance relevant to the application of the objective limb. Under the reformulated test, the defendant’s state of mind will be taken into account in applying the objective test rather than by way of a separate limb. In the reformulated test (the “New Test”), fact-finders need to first ascertain the actual state of the defendant’ knowledge or belief as to the facts. The reasonableness of his belief is only relevant to question of whether he held the belief, rather than being an additional requirement that the belief must be reasonable. Once the defendant’s actual state of mind as to knowledge or belief as to facts is established, the next question is whether, by standards of ordinary decent people, the defendant’s conduct was honest. The New Test is in substance an objective test and it does not require the defendant to appreciate that what he has done is, by those standards, dishonest. In the Supreme Court’s obiter, it stated that the defendant’s conduct would be considered as dishonest had the New Test been applied. While the defendant put forward that he was truthful as he did not regard his conduct as cheating, the Supreme Court commented that truthfulness is one characteristic of dishonesty but not conclusive. A dishonest person may sometimes be truthful about his dishonest opinions. In Hong Kong, “dishonesty” has not been statutorily defined, but the Ghosh directions have been affirmed by the Court of Final Appeal in Mo Yuk Ping v HKSAR  HKCFA 386. Accordingly, the two-stage test of the Ghosh directions, comprising the objective limb and the subjective limb, has been widely applied in Hong Kong courts. Following the reformulation of the Ghosh directions by the Supreme Court in the United Kingdom, it poses challenge to Hong Kong courts (and more particularly, the Court of Final Appeal) as to whether the New Test should be followed. Despite the fact that the New Test in Ivey v Genting Casinos (UK) Ltd is not binding and that it is derived from a civil case, the recent ruling has persuasive implications to our courts owing to the similarity of principles on criminal dishonesty between Hong Kong and the United Kingdom. Given the daily prosecution of criminal offences bearing the element of “dishonesty” (such as offences under the Theft Ordinance (Cap. 210 of the Laws of Hong Kong)), the Hong Kong Courts may reconsider the Ghosh directions and the New Test to assure the meaning of “dishonesty” and the test to be applied in Hong Kong. 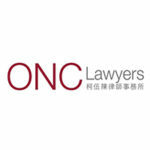 This article is written by ONC Lawyers and edited by Rishika Pundrik of Asia Law Network.